Is Sybil really the only person who can save Damon? That appears to be the case on the official preview for The Vampire Diaries Season 8 Episode 10. With Damon crumbling, Caroline turns to Sybil for help. If you watch The Vampire Diaries online, you probably already know that Sybil and Caroline don't exactly see eye-to-eye, so you can probably expect Caroline to get to Sybil via Stefan. 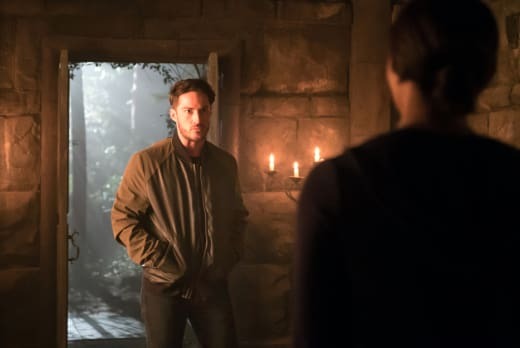 Being the crazy siren who wants to control everyone, Sybil takes great pleasure in telling Caroline that she will need to make her own way into Damon's mind if she has any hope of saving him. This would not be The Vampire Diaries without more than one person signing up for the job. That's how Ripper Stefan plays into it. Stefan feels the need to tell Damon that he's going to burn Mystic Falls to the ground, but there's no chance of that happening with six episodes left. The CW has teased that many characters will return for the episode. 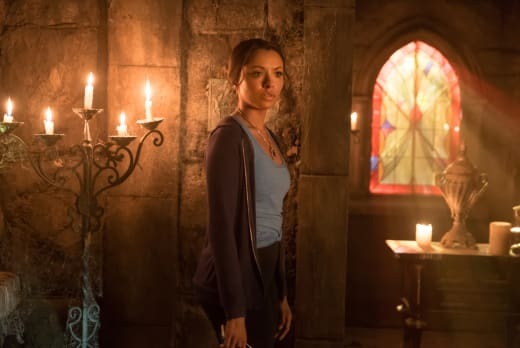 One of them will be Liz Forbes, but it seems like she will be part of Damon's mind and Caroline will meet up with her when she tries to save Damon. Tyler will also be staging a return, but does this mean Damon is actually going to feel bad for murdering him? We'll have to tune in to find out. Watch the full teaser below and be with us on January 27 for a full review of the episode. Nina Dobrev Confirms Vampire Diaries Return!!!! !